A woman committed her third assault on police officer this year, Blackpool magistrates heard. 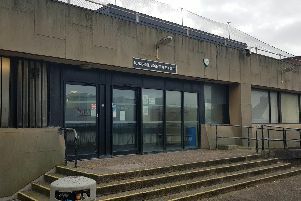 Jay Barrington, 29,of Avenham Place, Kirkham admitted assaulting an officer and criminal damage to a shop door worth £150. She was given an eight week suspended jail term. She must undertake 20 days rehabilitation, pay £150 compensation for the glass door damage and £100 compensation to the police officer.